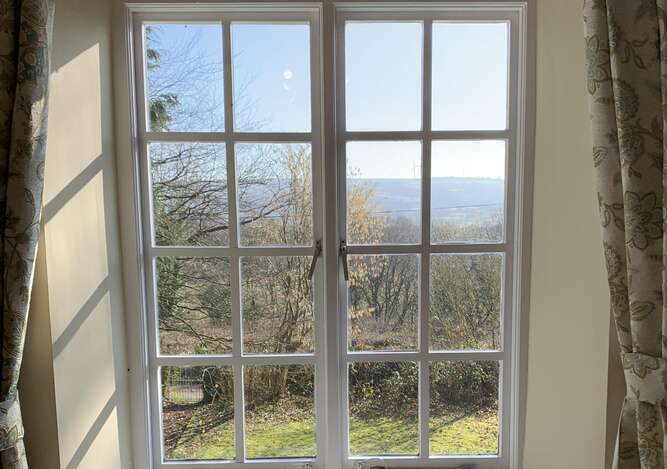 Y Llwchwr, named after the River Loughor/Llwchwr which runs just below the Bed and Breakfast is one of our largest first floor bedrooms, boasting a two level Wet Room En-Suite bathroom. 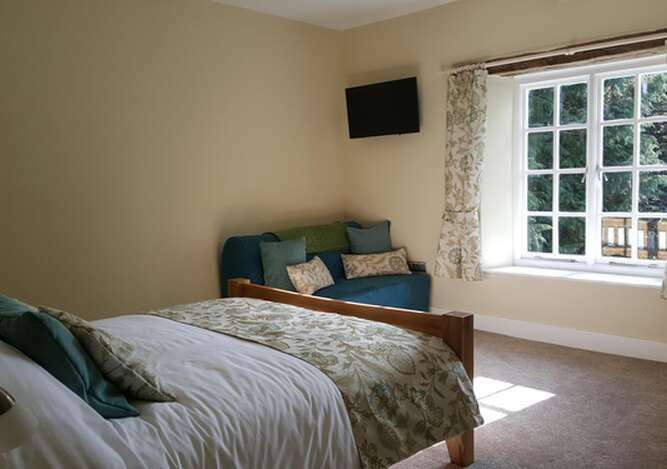 Y Llwchwr can be used as a King Room, for both single or double occupancy, with an incredibly comfortable King Bed. It can also be used as a Family Room, for up to four guests, with an equally comfortable pull-out double sofabed. 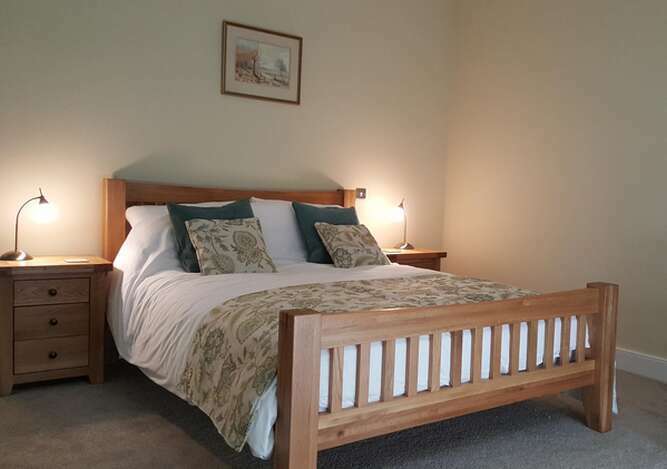 Both are dressed with high quality bedding and super-soft 400 thread count Egyptian cotton bed linen, with a selection of pillows for each guest. 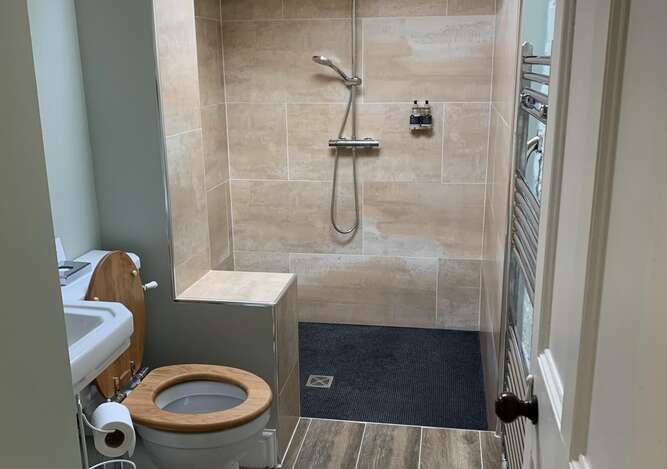 The En-Suite is split into two levels, the first consisting of a toilet, sink, heated de-mister mirror and a heated towel rail, then stepping down into a large and luxurious wet room with rainforest shower and an additional hand held shower. A shaving point is provided, with a fully lit mirror including all toiletries and sumptuous towels. We source our toiletries from Myddfai Trading in Carmarthenshire, luxury Welsh toiletries with a social conscience. 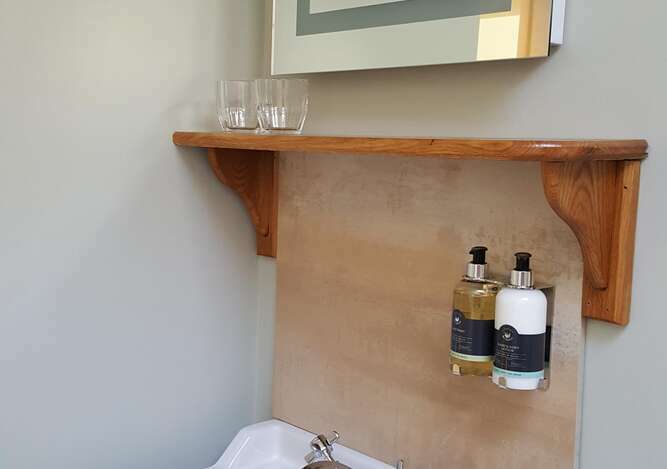 In addition to the bed and sofa bed, the room has a large oak desk/dressing table which can be used by the working guest or to prepare a selection of hot drinks from our hospitality tray. The desk/dressing table has two mirrors, a full hospitality tray, a double charging socket with a USB port, a guest information book to help with your stay and a hair dryer. Y Llwchwr also has a large built-in wardrobe with shelving, two bedside cabinets with touch lamps, black out curtains and variable lighting. Cots, highchairs and essential baby/child items are available on request.